Mark Peter Wright discusses his work in relation to themes of Environment | Landscape, as part of the Peter Scott Galley & Fine Art Department's Tuesday Talks series. Two of Wright's Screen Essays - audio-visual essays constructed within the screen of a laptop - are displayed in the exhibition which accompanies the Tuesday Talks. The exhibition and talks are part of a wider programme of exhibitions, events and knowledge-exchange in the Peter Scott Gallery, titled Change & Interchange. Mark Peter Wright is an artist researcher working with experimental approaches to sound and listening. His practice explores the relationship between humans, animals, environments and their associated technologies of capture: critically and playfully generating debate through exhibitions, performance and collaborative events. 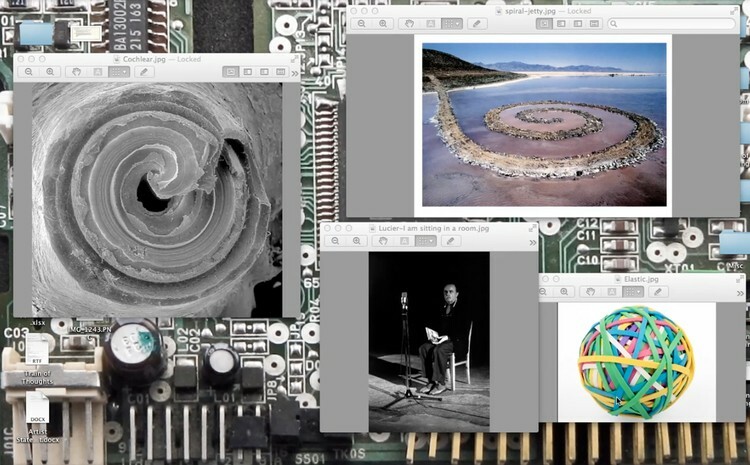 Questions that drive his projects pivot around how agency is performed between humans and animals; how technology and media are part of an ecological approach; and how listening can become an ethico-aesthetic arts practice.